Yesterday Bloomberg published an article about a meeting of multiple cities in Amsterdam last month "to forge an alliance in response to Airbnb and Uber." This headline misses the mark; it is both misleading and glosses over what actually happened. I should know: I was at the meeting. The Global Sharing Cities Roundtable was conceived by the City of Amsterdam several months ago, as an opportunity for cities who are leading efforts to understand and promote the sharing economy worldwide. Participant cities ranged from Seoul, whose Sharing City initiative dates back to 2012 and includes everything from a city-owned space sharing platform to investment of public funds in more than 50 sharing economy initiatives, to Copenhagen, whose sharing economy strategy is linked to its goals for sustainability and the circular economy. Of course, Amsterdam played a leading role -- as Europe's first self-declared sharing city, home to numerous sharing economy enterprises and a fresh approach to policy reform. Airbnb and Uber were discussed at the roundtable. But to be clear: the roundtable was not "about" them. The purpose of the roundtable was for cities to meet each other -- the overwhelming majority of them had never been in contact before -- and to engage in blue-sky thinking about the sharing economy's potential. True, Amsterdam's innovative approach to policy reform for homesharing and short-term rentals was one topic discussed, due to popular demand by other cities. But it was only one topic. Dozens of other topics were also part of the agenda. Ridesharing and ridehailing were another popular topic, though ironically Uber itself barely came up. Rather, more time was spent on brainstorming how the sharing economy can link with waste reduction initiatives, serve to rethink delivery of public services, engage youth and elderly, and potentially help tackle a wide range of other social problems for cities worldwide. The Bloomberg article misses the mark in failing to detail -- or even acknowledge -- this much broader agenda. I was honored to be invited as the only non-city employee. (For full disclosure, I have advised several of the cities in attendance.) Bloomberg reached out to interview me but did not follow through in doing so. Meanwhile, it appears none of the people quoted in the interview were at the meeting. With all due respect, this falls short of what I would expect from one of the world's most esteemed publications. The sharing economy is about much, much more than Airbnb or Uber. We should know that. It is extremely frustrating to see the media focus disproportionately on what is but one piece of a much larger pie. It is increasingly easy to single out one or two companies, but by doing so, we are missing the forest for the trees -- and missing a much bigger opportunity. 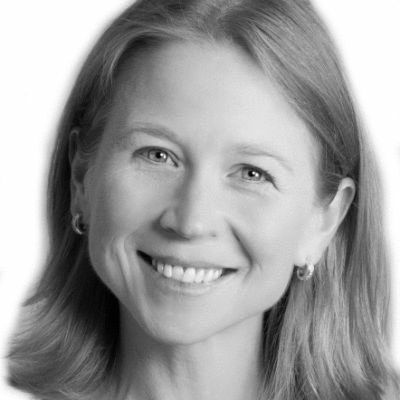 April Rinne is an independent advisor to sharing economy companies, governments, policy makers and investors worldwide. She is a Young Global Leader at the World Economic Forum and an inveterate globetrotter (93 countries and counting).